By using these easy and inexpensive tips, you can expect an offer in no time. Putting your home on the market can be stressful. Week after week of showings require your house to be presentable at all times, not to mention the hassle of vacating at a moment’s notice. If you have pets or children, that stress is multiplied. But buyers will be most interested in your home the first few weeks it’s on the market — so you need to hit the ground running and sell before your listing grows stale. To sell a home quickly, it needs to show well, be marketed well, and priced correctly. If you need to sell your home in a hurry, these tried-and-true methods can help you get offers quickly that are close to (or even above!) your asking price. You might think the easiest way to declutter your home is to shove everything into the closets. Bad idea: Anyone who tours your home is going to check out the storage spaces, and disorganized, overstuffed closets only serve as evidence that your home is lacking. Opt instead for a storage unit to house the things you won’t need while your home is on the market. The general rule? Get rid of a third of your stuff. Holiday decorations, baby gear, seasonal clothes, that bread maker you’ve never used — they can all go into storage. Bonus: If you choose a portable unit, it can be transported to your new home, making moving day a cinch. Don’t hire a real estate agent just because they’re also a die-hard fan of your college football team or they’re from your hometown. What really matters? A track record of sales that proves they know how to sell your house fast. Are they familiar with the benefits (and negatives) of your neighborhood? Can they walk into your home and tell you precisely what buyers will love and hate? Are they, basically, the fairy godparent you never knew you needed? One way to be sure: check their reviews. You should also make sure your agent promotes their properties online. Make sure they have professional looking photos and includes a variety of photos on their site and social media. We once had an open house where every inch of the walls was covered with wedding photos. It felt bizarre to be in what was so clearly their house, and it seemed impossible to imagine it being the client’s house — and it made it hard to focus on the home’s other features. Of course, your kids’ baby pictures are adorable, but when your home is on the market, they need to come down for prospective buyers to imagine themselves living there. In the same respect, don’t distract from the house itself with art, which could be unappealing to a buyer. A dark or poorly lit home feels damp and depressing. Brighten it up by using natural and artificial light. Get the highest wattage light bulb for that light fixture, and it will instantly brighten up the room. When you leave for showings, turn the lights on and open curtains and blinds. A fresh coat of paint can also brighten a room. Billie recommends Sherwin-Williams Agreeable Gray, a light, neutral gray that provides a soft, brighter palette, making rooms look larger. A deep cleaning will also help brighten baseboards, windows, and light fixtures. Curb appeal is everything! 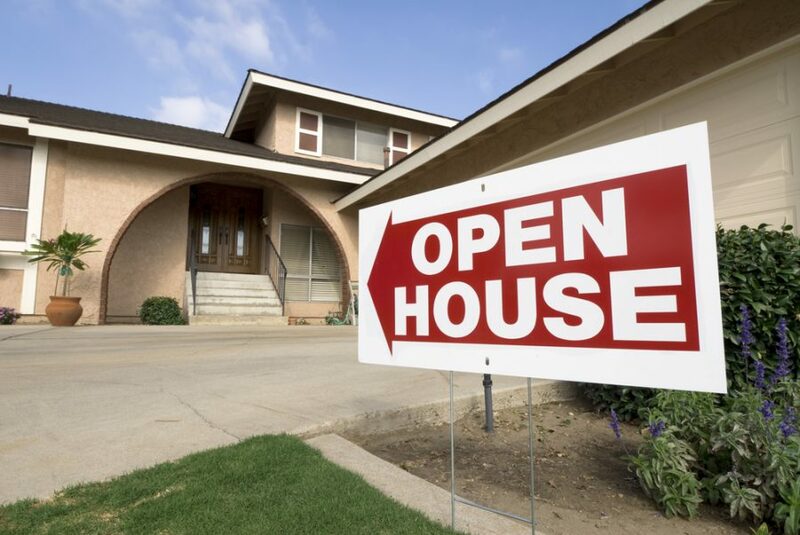 Your home’s exterior is typically the first thing a buyer sees in person and on listing sites. If it doesn’t look good, a buyer won’t even consider looking at the interior shots. Tidy up your yard by trimming and shaping hedges, refreshing mulch, and edging the lawn. Consider pressure-washing your house, walkways, and driveway, or even adding a fresh coat of paint to your trim and shutters. Everything matters — even things as small as the brass on your front door. Polish the kickplate and doorknob, and clean any cobwebs or bird droppings off your front porch. Flowers, particularly near the entryway, add a hint of color, making your home feel alive and inviting. Spring and summer are typically known as the best time to sell your home. If you can wait until then to list, you should consider it. But be forewarned that increased inventory means spring and summer buyers can afford to be pickier — so make sure your home is in tip-top shape. You also need to price your house right. Just because you want to sell for a certain amount doesn’t mean your home is worth your magic number (unfortunately). Do your own research about area comps, get listing price suggestions from a couple of agents, and then listen to your agent when it comes to negotiating.